In May 2016, Brian So and Kerry Han opened Spring on the edge of Marietta Square inside a 100-year-old freight depot. 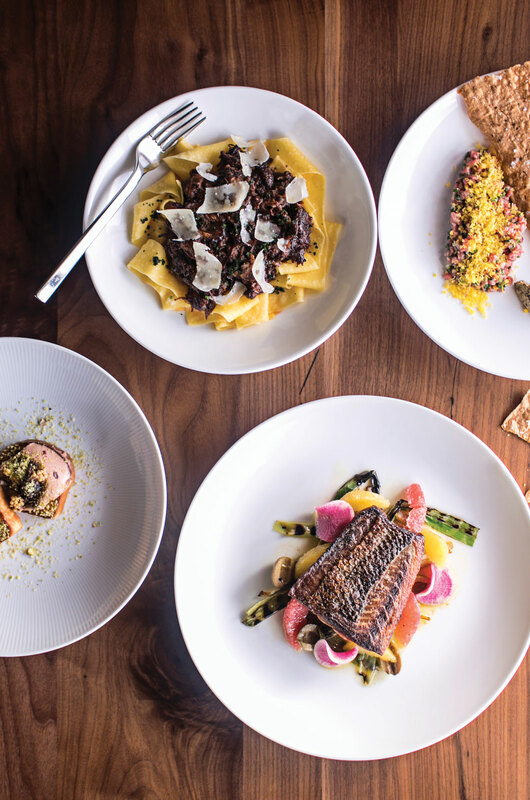 The dining room is intimate— just 14 tables—and So’s cooking is technical, restrained, even reverent. (It got Spring named one of Bon Appétit’s best new restaurants last year.) Meaty, pan-seared flounder bounces back with brio when prodded with a fork; its bed of English peas, radishes, and baby leeks screams spring (So’s favorite season to cook—thus the name of the restaurant); and the daffodil-colored sauce is both tart and creamy, rich but not fatty. It’s textbook beurre blanc.